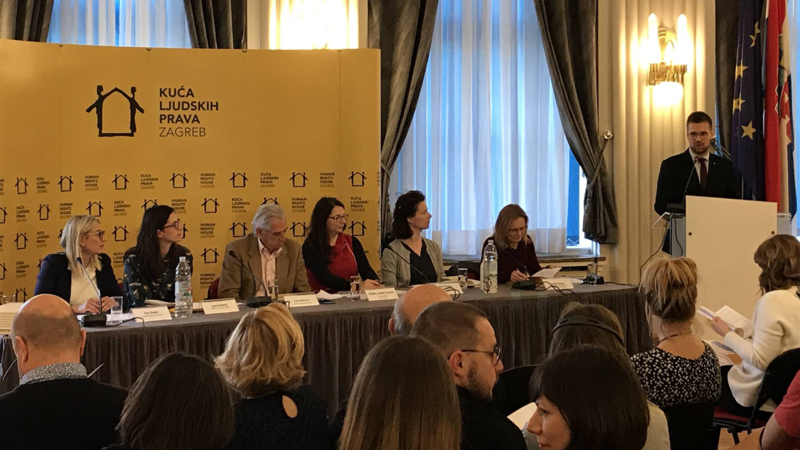 Some 10 years since it was established, Human Rights House Zagreb held its annual conference for 2019, marking the anniversary and presenting a report of the human rights situation in Croatia. The report “Human Rights in Croatia: Overview of 2018” is prepared by Human Rights House Zagreb in cooperation with civil society organisations focused on human rights. It provides insight into the violations, problems, challenges and controversies in the field of human rights protection and promotion that occurred during 2018. Covering a wide array of rights in Croatia, the report gives an overview of media freedom and the judiciary, rights related to education, healthcare, standard of living, homelessness, and the environment, and the situation for human rights defenders and civil society, Further, it addresses the rights of women, children, persons with disabilities, LGBT, refugees, and minorities. A seven-page summary of the report is currently available in English. The full report is available in Croatian. At the conference, civil society representatives joined for two thematic panel discussions. The first panel focused on socio-economic rights, justice, asylum-seekers and refugee rights, media freedoms and sexual/reproductive rights. It included Ana Vračar (BRID), Luka Mitrović (Croatian Journalist Society), Sara Kekuš (Center for Peace Studies), Tea Dabić (Human Rights House Zagreb) and Sanja Cesar (Center for education, counselling and research). The second part of the conference addressed the issues of human rights and rule of law in European Union, including the negative consequences of populist and illiberal policies on the rule of law and human rights in the EU. On the panel were David Vig (Amnesty International Hungary), Malgorzata Szuleka (Helsinki Foundation for Human Rights, Poland) and Antonio Moreno Diaz and Marina Škrabalo, members of the European Economic and Social Committee. 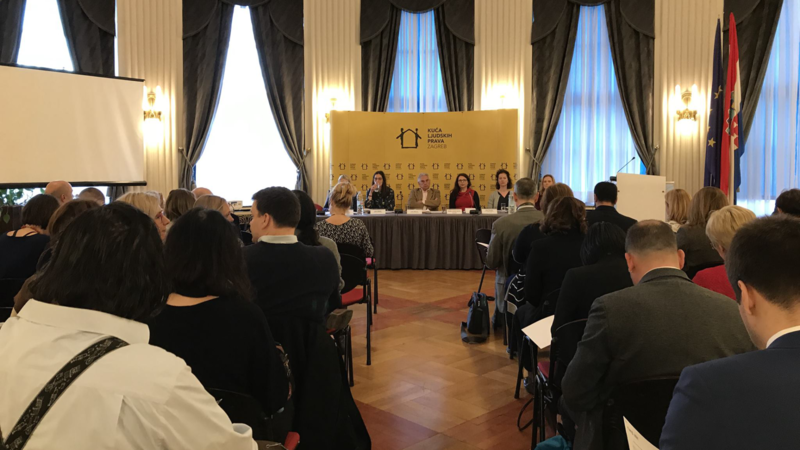 Also in March 2019, Human Rights House Zagreb joined the European Implementation Network (EIN). This represents an important step to enhance the House’s work monitoring the full and timely implementation of judgments of the European Court of Human Rights that refer to Croatia. 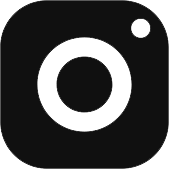 Human Rights House Zagreb was established in 2008 with a goal to contribute to building a democratic, pluralistic and inclusive society based on the values of human rights, social justice and solidarity. Today, HRH Zagreb is renowned as the centre of expertise on human rights in Croatia. The House works on research, monitoring, advocacy and education within three programs: democracy and human rights; justice and human rights; and socio-economic rights.